Keeping straight edges in crochet is easier than you think. There are different methods to achieving nice and uniform edges, and it all depends on one little chain. Seriously. 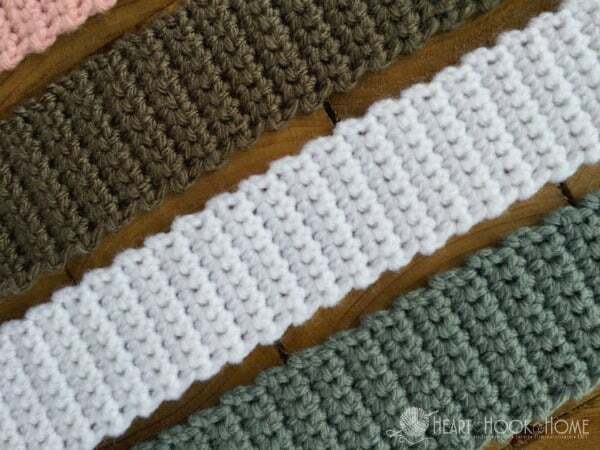 There are two generally followed methods of starting a new row in crochet, and which method you choose dictates how evenly (or unevenly) your edges will come out. Yes, it really is that simple and it’s all about the turning chain. Depending on which pattern you’re following (and all crochet pattern designers are different) you will either count the turning chain as a stitch or you will not count the turning chain as a stitch. Which way is the correct way? Meh, it’s up to you . When I polled nearly 30,000 crocheters in my crochet group on Facebook, the results were quite interesting. I personally do not ever count mine as a stitch, and none of my crochet patterns are written to count them. Even if I am crocheting a pattern from another designer and it calls for the turning chain to be counted, I typically make a slight alteration and crochet in the way that I feel it looks best. The most important thing for keeping straight edges in crochet is to count your stitches. 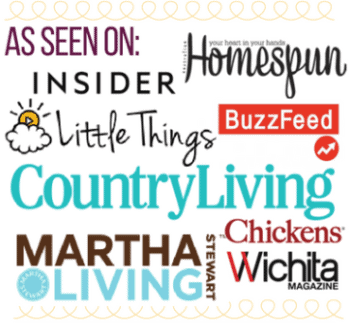 I know what you’re thinking… “Ain’t nobody got time for counting!” and trust me – I AGREE! But even the most confident of crocheters can still miss a stitch. An experienced crocheter can miss a stitch especially if the item is super wide/long, if they are watching (let’s be honest: listening to) TV, if their kids are in the same room, or if the dog wants to go outside… or come inside… if the wind is blowing from the east… anything really. So yes, counting those crochet stitches can make all the difference in the world. I must also confess that I don’t count my stitches after every single row *gasp* but every so often I will stop and make sure that I am still on track. That way if I do have to frog (rip it, rip it out), it is only a few rows instead of the entire. stinkin. thing. Counting (or not counting) the turning chain in crochet is all personal preference. I have found, however, that when I do not count the turning chain as a stitch, my edges are not as “holey” and my edge stitches stay much more uniform and orderly. In short, my crocheted edges are straighter when I do not count the chain as a stitch. Instead, when you make your first stitch in each new row go into the very first stitch since the chain is not counted. When you get to the end, go into the last completely formed stitch. That’s it! Instead of doing a chain-3 for this double crochet and counting it as a chain, chain two instead and start in that very first stitch. How many chains to start a new row in crochet? Keeping straight edges in crochet really is as simple as this one little trick. If a pattern is not written in this manner you do not have to change it. If you wish to, however, many times it is as simple as recognizing the chain-3 for a double crochet stitch as opposed to a chain-2. Not sure how to modify it? There are thousands of crocheters in the Heart Hook Home Crochet Community available to help! Thanks, this makes perfect sense! The only exception is in the final recap. I read it over three times. I believe you reversed the numbers. “Recognizing the chain-2 as a chain-3” as opposed to recognizing the chain-3 as a chain-2? Thanks again. I did find a link to washcloths in your search, but the link to washcloth patter on this page doesn't work. Just thought I'd let you know! Thanks for the tips! I am re-learning crochet as I did one blanket some 15 years ago, but would like to take it up again. Not having nice edges will drive me up a wall! Hi Risa! Thank you for pointing that out...I will look into it! Thank you..This is so helpful. I am in in process of making a baby blanket for a friend and my ends were looking a bit uneven so I did not count the first stitch.It made a huge difference. Could you post either a video or step by step pictures, I couldn't follow this. I kept re reading and just could not understand your explanation. Thank you, thank you, thank you!!!! I could never get straight edges. I followed this and YAY! Straight edges!! Yayy! I am so glad you found this post helpful Mary! Can you post a picture or visual of where the last stitch in a row should be place? This is where I also go wrong quite often. I've just finished the body of the painted canyon jacket and I can see my edges are not even. I'm hoping the edging will hide it but I am so cross with myself. It should be easy to do this starting and ending stitch but I'm still not getting it. A really close up video showing exactly where stitch should go would be much appreciated. Thank you. So excited to try this! Awesome article. You have a real gift! Thank you so much—I’m sure you’ve transformed my crochet. Thank you so much for sharing your tricks! i am teaching myself to crochet - mostly on YouTube - and i could never figure out why my pieces came out funky edged since most people count the chain one (turn chain?) as a stitch. Thanks to you i am making a shawl that looks good. I'm glad you found this helpful! THIS is the one thing everyone will say, "I wish I had known that when I first started doing crochet!" I've been crocheting for around 25 years, mostly self-taught, and this one thing always bothered me, which caused me to be an obsessive stitch counter! Ugh! Not anymore!! Thank you, Ashlea, from the bottom of my heart! I find that if I turn my work counter-clock wise at the end of a row it is much easier to see where to crochet the last stitch of the next row. I also try to do multiples of 5 across so all I have to do when I am counting a row is count up to 5 each time. This is makes it much easier to keep track of the count. If you come to the end and you only have 3 or 4 stitches in the last group you know you have made a mistake in that row so there is only one row to frog. Thank you for these tips. I have been crocheting for over 65 years and consider myself experienced but there is always something new to learn. I have finished many blankets with a reverse sc but have never seen the reverse shell. I shall be using this to complete my latest blanket. There are many video patterns on YouTube and I have made many items following them. I have found that if the video is in a foreign language they are easier to follow without the sound on. I follow Spanish videos with sound as I can count in Spanish. The English translations are just fun to read lol. Thank you again. I understand the beginning of the rows but how about their ends?? Do I make the last DC. in the 1st dc or in the ch2. It is easy to get distracted and make a dc. in each of them and by doing so, the work will grow by 1dc each row. (I am crocheting while watching tv. so its easy to get distracted) Any advice???? Leah, she said when you reach the end, go into the last completely formed stitch. Yes, and if you're counting and at the end of the row and you think you are one stitch short, use your left thumbnail to move the turning thread from the previous row aside, and voila, you will see your last v stitch hiding. Hi. I made a baby blanket using double crochet which I taught myself to do. My edges are uneven I guess from the work. I don't know how to make an edging for it. Could you explain this to me. Thank you. Thank you for sharing this info. I did a lot of research on this and you are the first to clearly explain the correct way to turn a row without leaving a hole on the edge. That hole has always made me crazy, especially when I would join two pieces together there were those holes always staring at me :-) Thank you again for your help. Yeah no more holes!!!! Thank you so much for this tip. Ime a beginner and only worked grannies but so wanted to do a DC blanket. After umpteen rows I gave up very despondent. So glad I googled for help. Will try this tip. It makes sense. Lovely clear instructions and funny too. This was a great tip. I've been crocheting for about 60 years and my edges have always been a hit and a miss. Can't wait to try this. I had started doing this myself. I make baby sweaters. When joining seams or adding a border into a chain 3 left a weak spot. So I started the chain and doing the stitch in the first stitch of the turn, like you suggest. Nice to get conformation that others are doing it as well. 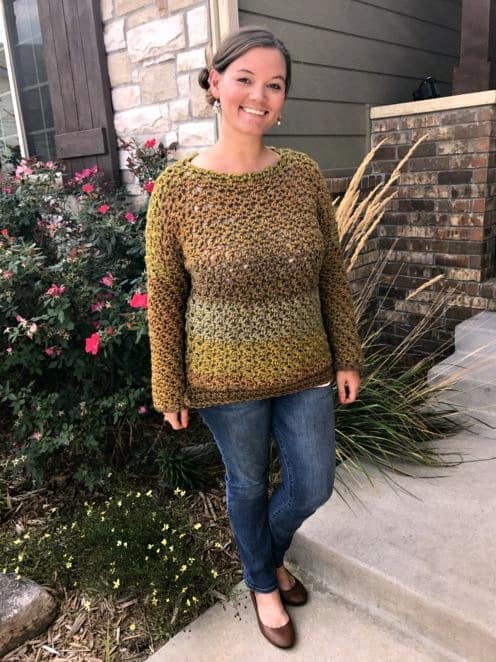 This is great instructions, I am 77 and still crochet every day keeps me busy and is relaxing, make all kinds of itims for grown kids and grandkids.i make from toys,ponchos,afgans,gloves,booties for chairs legs and many more itims. I understand your directions for the beginning of the row but what do you do at the end of the row? Do you crochet into that turning chain from the row before or skip it? I am crocheting a blanket now with 3 chains at the beginning of each dc row and it is coming out kind of holey because I am skipping that first stitch. I will now only do 2 chains and crochet into the first stitch but my question is at the end of the row. Thanks for your help. You leave the turning chains alone. I never comment on blogs (who has that much time?!) But, in all of my 40 years of crocheting, have I ever read a better tip!! I am such a rule-follower (haha), so by golly, I do what the patterns says! But "tweaking" the technique or pattern has made a HUGE difference in how my finished pieces look now!! Thank you also for the wonderfully clear photos and explanations - much appreciated!! Hello Jackie! Thank you for that! I'm so glad its helpful. Thank you for this info. I have always had uneven edges so I will do my best to follow your instructions. Hi, I've been working on a project that needs to be 17 inches wide, but it's 17 in wide on the row I'm currently working on and 20 in wide where I started. When I turn on a hdc row, the corner is really sharp. Maybe it's because I use 2 sc to turn? Would you happen to have any advice to fix this? Or can blocking make the bottom of my piece shorter? I nave just completed a lap sized blanket. I kept my edges straight by reducing the turning chain by one and when I got to the end of the row I put my final stitch through the previous rows turn chain instead of the stitch. I was amazed at the difference. One thing I do to minimize the gaps is to make the initial chain before turning the work. Doing this the chain gets turnet clockwise and the bumps from the wrong side mimicks the actual stitch. Thank so much for the advise. I did a blanket for my son and daughter-in-law and sorry to say when I went to fold it to put in a box the whole thing was a tea total mess. It was shorter on both sides so I ripped out until I got to the right place. Another sorry thing was that I couldn't find the pattern and it was a different stitch instead of just a simple single crochet. Well as luck had it, my youngest sister had the pattern. I think I now have four directions in different places so I can't loose it again. Thanks for the directions on an even edge, it has been a problem for me. I signed up for your news letter and I'm sure I'll be a better edger. Thanks for this tip! I'll do that from now on. Another thing that messes up my edges is not knowing where to put my hook for the last stitch. I'm making a baby blanket thar is made of moss stitch. My end stitch is always tight & I can't find where to put my hook. Can you help? Ahh with the moss stitch that happens to me too. 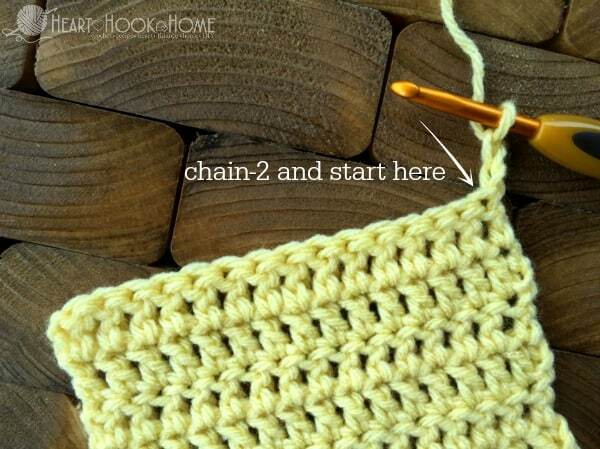 Are you chaining 2 at the beginning of the moss stitch rows or just one? Also, I have to consciously think about being just a tad looser on that first chain. Hope that helps! Are all of the yarn weights different? If so, you'll have a hard time keeping the edges straight, but a border will help clean then up! Or make the uneven was purposeful. Crochet a border and emphasize the waves! It can be lovely. Ha! I'm so glad you found it! I've been using this same technique for years...for the very reasons you stated. When 'teaching' people to crochet, I like to stress the fact that they are IN CHARGE and can proceed in a way that is pleasing to them...just be consistant. Thanks so much for validating and expressing my thoughts so well! This has always been a problem for me. Your solution makes sense & will be so easy to use. Thank you so much for sharing! This is a BIG problem i have! I hope that i can follow your tips well... I tried to make a yarn bag, and the sides were crazy --- ugh --- I did practice your tips :) and had a good result Thank you Girlly! thak you... thank you.. it solved my problem.. This is exactly how I do it! I wasn't taught that way and didn't know anybody else did. Cool! I prefer to do a slip stitch into the first stitch then do the chain and count it as the first post. That works well in any double or triple. If it is a just a single crochet then chaining one and doing the first single crochet in the second stitch works perfect...just don't forget when you get back there to single crochet in that chain. Well I am going to give this a try. 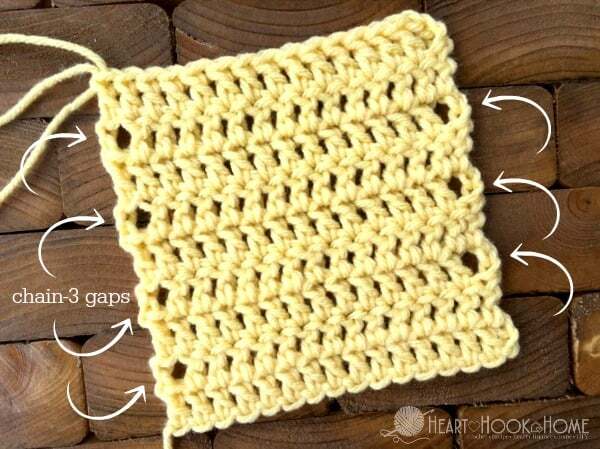 I am pretty new to crochet but this makes more sense then skipping the first stitch and counting the turning chain. I abhor counting. DOES anyone have a good rule of thumb how often I need to keep count especially on large projects. It depends on the yarn/gauge for me. If I can clearly see the stitches all the way across the row I don't generally count. If it's super long I usually count every 5 rows or so. Hope that helps! Can you add the straight edge to an existing blanket, or do you need to start the blanket with the edging? I didn't count the turning chain with the sc but I didn't with the others. I'm going to try this. But I have a question. 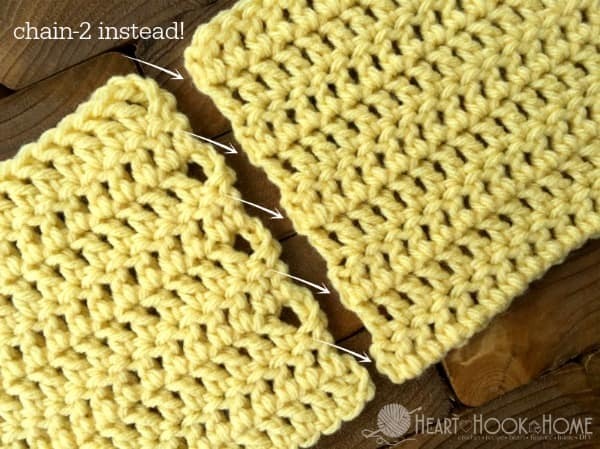 Does this method gives you trouble when you want to crochet a border? Is this possible? The second didn't must be did. Not my native language.. Liked your information and hope I can do this when I use it. I'm going to try to keep this site but my luck in doing this is not good. Thank you so very much. Ah! This is something that has always confounded me! I can never make straight edges and then by the seventh row the whole lot looks terrible. Been wanting to crochet a scarf for ages, but have always had to pull it out and give up. Thanks so much for this article. I enjoyed reading it. On a double crochet row, I start with a sc and 1 chain. This seems to be a lot easier and of course I count that as the 1st stitch. Recently, I have ended dc row with hdc. Thank You Soo Much! I wish I had known this tip before I crocheted a harry potter scarf for my sister for christmas. I cannot wait to try your way! Thank YOU SOO MUCH! Awesome tips and clear pictures and explanation. Thank you very much !! I am a beginner and was wondering how to keep the edges straight. Thank you very much for your valuable information in this fantastic article. I hope to be able to share some great tips at some point as well. oneLove! Well my my! You made my day. I've all but given up on even pot holders, because my rows are uneven and not pretty. It's so simple and it not me! Thanks from the bottom of my heart! Keep sharing! You never know, what a simple technique can make a major difference in someone else's craft! You are awesome! Thanks for the tip… I'm starting something new tonight so I am going to give this a try! I'm so glad! Keep me posted! Thanks a lot for that tip. I have been crocheting for at least 50 years, always wonder how to keep the edge straight. I have tried every thing. So I will be trying this tip. Thanks a bunch! Thank you for this tip. I can't wait to try it. I appreciate you! H, for the single crochet ch1 nd sc in the same stitch? Thanks for the tip. Sometimes I want a wavy edge for aesthetics, but I have also sometimes wished for a straighter edge. Good tip! I found that when patterns say to 'ch2', I only do a ch1 and it doesn't leave a larger end hole or a little ripple on the edge. Everything I make ends up with straight edges. Hi. I was taught this trick about 50 years ago by my grandma... It has always worked! Hi Rae Ann! I couldn't believe how common counting the turning chain was until I started my crochet group. Amazing! Thanks for stopping by! Awesome tips! Thank you. I'm on to the washcloths now to practice!